FREE delivery to United Kingdom in 8 - 9 weeks. Minimalist modules with a flair for details. Over recent years, Norman Copenhagen’s furniture collection has grown considerably, and it now includes furniture for every room in the house. The design company is now expanding its furniture line with Rope: a stringent modular sofa with clean and softly rounded lines. This design emphasises flexibility and comfort, and it combines traditional upholstery techniques with a personal expression. The main goal was to design a modular sofa that was really comfortable and would make you want to relax and stretch out for hours at a time. The inspiration for Rope has been drawn from classic furniture design. This can be seen in the piping, which marks the edge of the furniture in an understated and elegant way. It is precisely this detail that the designer Hans Hornemann has highlighted and turned into a fundamental element of Rope. All other excess details have been removed from the design. The design plays with dimensions and curves in order to give Rope an expression that is simultaneously minimalistic and full of character. 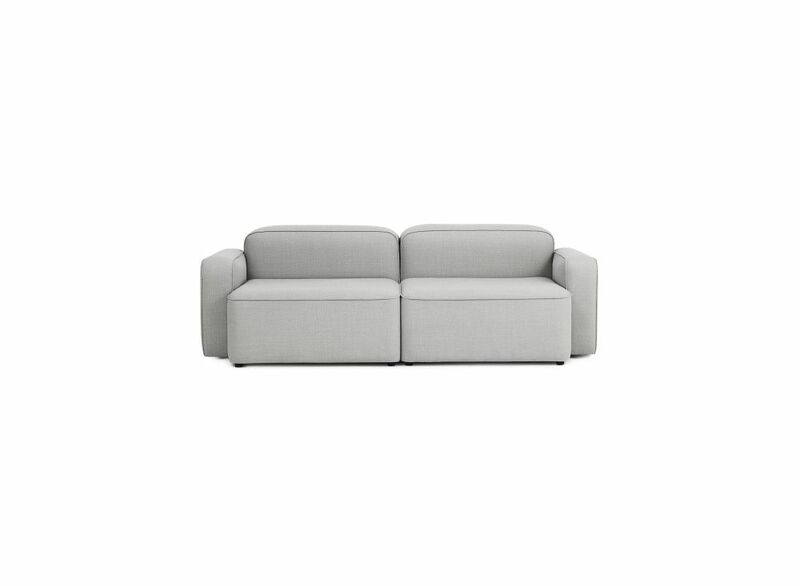 For example, the sofa has no under-frame so that the seat continues almost right down to the floor. The sofa rests on low, black lacquered wooden feet, which raise it slightly from the floor and lighten the sturdy expression. Finally, the clean and simple piping lends dynamics to the design. The Rope modular range is full of flexibility and offers a wealth of opportunities for creative expression and personal style. If you have a large family, a corner sofa with the right number of seats is easy to achieve, while two modules would be perfect for those living in a small apartment. If you want extra depth, different seat widths or an open design without armrests, the Rope range has modules that can make your dream sofa come true. There are 12 different modules in the Rope range to choose between, pouffes in two sizes and a cushion for extra back and neck support. All of the modules are available in three quality textiles and durable leather in the colour of your choice. Normann Copenhagen is a Danish design company with the mission to create original and innovative products in a simple and contemporary design that withstands the test of time. Or in other words, to challenge conventional thinking and make the ordinary extraordinary through great design.